he growth of the Colombian floriculture industry is remarkable, but it’s the country’s potential growth that really turns heads. That becomes clear when visiting Proflora. This year, the Netherlands is the country guest of honor in the show. Colombia and the Netherlands are closely connected, explained Marjolijn Sonnema, Director General Agro and Nature of the Ministry of Economic Affairs of the Netherlands during the inauguration ceremony. Together, they make up the first and second largest exporters of the world and their mutual export rates are still increasing. According to Sonnema, this growth is mainly thanks to the 2012 free trade agreement between Colombia and Europe. To help maintain and strengthen the agricultural relationships between both countries, the Netherlands Ministry of Economic Affairs appointed Patricia De Vies as Agricultural counsellor. With the technical know-how the Netherlands is known for, they are eager to turn the potential of the country into reality. At the show, 30 Dutch companies are showcasing their technical innovations. Not only are the exports to the Netherlands increasing, but the Colombian flower industry is growing in general. Last year, they issued the highest number of patents. On top of that, between 2012 and 2016, the acreage of flower cultivation increased by 18 percent, to over 7,000 hectares and the export volume has grown by 12 percent, to 225,000 flowers that were exported last year. And this year, the export already has achieved a growth of 9 percent compared to last year. And just like their growth in the Netherlands, this growth is mostly enabled by the trade agreements they have between countries. Currently, they have trade agreements with 39 countries and they are negotiating with many more countries. Another important goal for Colombia is to grow beyond flowers. Next to increasing the export volumes, land and enhancing the quality of flowers they are strongly investing in their social responsibility – improving working conditions and the life of their workers and families – and lowering the impact of the flower industry on the environment. 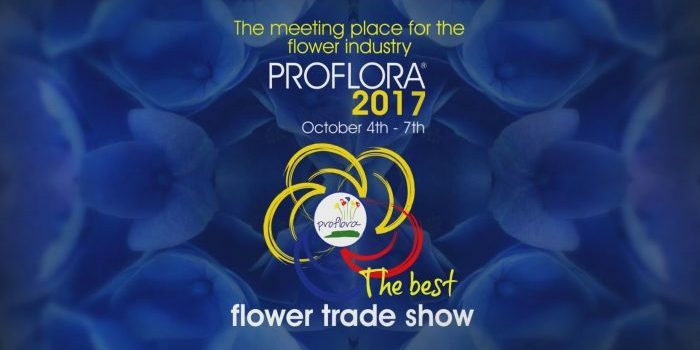 Proflora concluded last week, and had 328 exhibitors showcasing their products and services. Over 400 flower varieties were on display and over 6,000 visitors attended across the three-day event.